Immediately after World War I, four major European and American poets and thinkers--W. B. Yeats, Robinson Jeffers, R. M. Rilke, and C. G. Jung--moved into towers as their principal habitations. Taking this striking coincidence as its starting point, this book sets out to locate modern turriphilia in its cultural context and to explore the biographical circumstances that motivated the four writers to choose their unusual retreats. From the ziggurats of ancient Mesopotamia to the ivory towers of the fin de si cle, the author traces the emergence of a variety of symbolic associations with the proud towers of the past, ranging from spirituality and intellect to sexuality and sequestration. 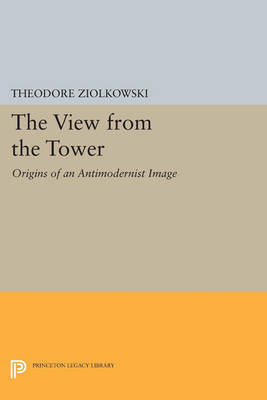 But in every case the tower served both literally and symbolically as a refuge from the urban modernism with whose values the four writers found themselves at odds. While the classic modernists (Eliot, Woolf, Hart Crane) often singled out the broken tower as the image of a crumbling past, these writers actualized their powerful visions: Yeats and Rilke moved into medieval towers in Ireland and Switzerland, while Jeffers and Jung built themselves towers at Carmel and Bollingen as secluded spaces in which to cultivate the traditions and values they cherished. The last chapter traces this perseverance of the ancient image through its heyday in the twenties and into the present, where it has undergone renewal, institutionalization, and parody. Originally published in 1998. The Princeton Legacy Library uses the latest print-on-demand technology to again make available previously out-of-print books from the distinguished backlist of Princeton University Press. These editions preserve the original texts of these important books while presenting them in durable paperback and hardcover editions. The goal of the Princeton Legacy Library is to vastly increase access to the rich scholarly heritage found in the thousands of books published by Princeton University Press since its founding in 1905.